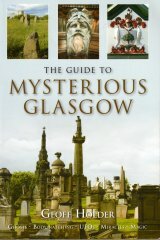 A Monumental Sculptor, he produced a considerable number of monuments for the Necropolis and Glasgow's other cemeteries, and was the father of the prolific architects H & D Barclay . Formerly in partnership with Robert Bowman , as Bowman & Barclay , he set up his own workshop at 45 Taylor Street, 1848. A fine example of his work in the Necropolis is the James Tennent Monument, an obelisk on a pedestal carved with the Egyptian hieroglyphs for the Ankh symbol and the Eye of Horus. His work outside Glasgow includes the Macfarlan Monument in Kilmahog Graveyard, Stirlingshire (1851). Barclay's firm lasted well into the 20th Century.